Those were some of the first words that came out of my mouth when I arrived at The Retreat, a first-of-its-kind spa situated on Iceland‘s Blue Lagoon. It was just before sunrise—which, during the winter months, doesn’t happen until well past 8 a.m.—and the lagoon emitted an eerie otherworldly glow. In combination with the alien-looking lava fields that characterize Iceland’s topography, I could have just as easily been on Mars than in an island nation in the middle of the North Atlantic. The Blue Lagoon is one of those places that seems to have been made for Instagram, but the thousands of photos of it you’ve likely seen on your feed (at present, #bluelagoon has 1.3 million posts) don’t even come close to doing justice to the landscape. The lagoon, which is technically manmade, was formed in 1976 when a geothermal power plant opened nearby and began depositing its superheated, mineral-infused water in the surrounding lava fields (weirdly, not as scary as it sounds IRL). Understandably, people took notice of the very warm, very blue pools, and decided to—literally—test the waters. The lagoon is packed with sulfur, silica, and blue algae, among other minerals, which is what makes it such a skin savior (and is also why the water looks so dang blue). Researchers in the ’90s discovered that the lagoon offered major relief for psoriasis—so much so that there is now a psoriatic treatment center on the premise—and a 2008 study found that “the bioactives in Blue Lagoon have the capacity to improve skin barrier function and to prevent premature skin ageing,” and that bathing in the lagoon is associated with a significant reduction of transepidermal water loss. 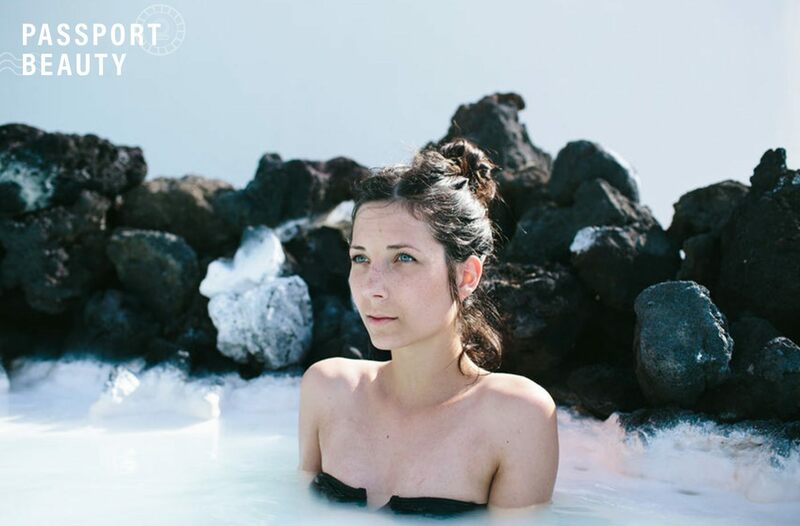 While some of these elements have been harnessed in the Blue Lagoon’s namesake skin-care line (which is readily available to those of us who don’t happen to live within driving distance of Iceland), their full effect can really only be experienced by soaking in its steamy waters. So when the team at The Retreat offered to host me at their new Lagoon-side spa so I could see (and feel) it for myself, I packed my coziest sweaters into a carry-on and hopped a flight to Iceland. Wanted: A  boyfriend to go back to the @retreat.bluelagoon and swim in this private lagoon with. The Blue Lagoon has been open to the public since 1987—and you can now buy a day pass for between $58 and $82, depending on what type of experience you want—but The Retreat’s launch in May of last year signified the first ever luxury resort in the area. The property boasts 62 suites, some of which even have their own private lagoons (and all of which have to die for views), but the real draw is the spa. Guests are given access to a private lagoon, complete with a swim-up bar, plus a number of different treatments like facials and massages that integrate the mineral-rich water in some way. I spent three b-l-i-s-s-f-u-l days experiencing what the spa had to offer. On my first morning at The Retreat, feeling bleary-eyed and jet lagged, I dipped into the cerulean pool for an in-water massage. I floated on a foam bed while a woman rubbed me down with oil, and I reached the type of meditative state that I always assumed was never possible for someone with my anxiety levels. It was as if I was having an out-of-body experience—like being in a sensory deprivation tank, but without the claustrophobia that ruined it for me the one time I tried it. Next came the Retreat’s signature facial, which utilized different products from the Blue Lagoon skin-care line—including the Silica Mud Mask ($115) to deep clean skin; The Algae Mask ($115) to nourish my complexion; and the Rich Rejuvenating Cream ($160) to keep my face hydrated. Afterward, my complexion looked better than it has since I well before I graduated college and started #adulting. I did manage to stash some of the products into my bag, and they really do offer similarly impressive results, even in NYC. Head over to @iamwellandgood to see some highlights from my #iceland trip!!! Iceland isn’t the only far away land worth visiting for the sake of a beautiful bath—here are 7 other locales worth visiting for the sake of their bathing rituals. And if you can’t hop a flight, you should still consider adding some Icelandic beauty products to your arsenal.